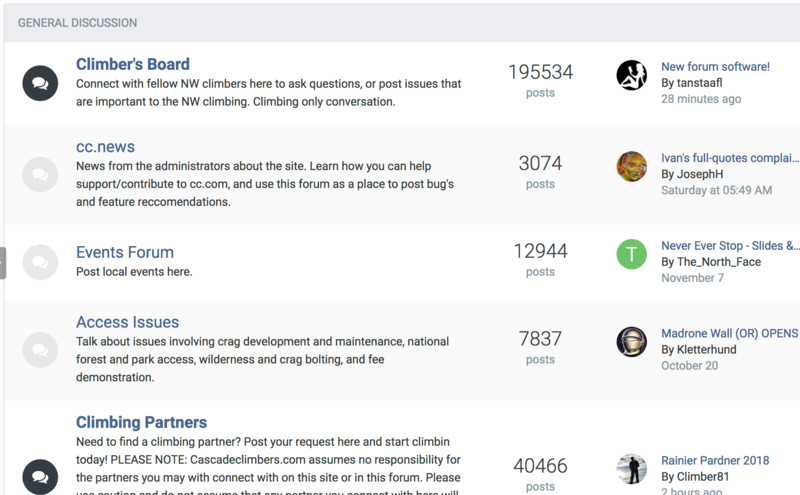 If you haven’t checked it out the Cascade Climbers Forums lately, then you definitely should! 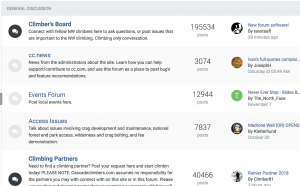 We replaced the Forum software with a new product, which is *way* easier to use, and lacks all the bugs that the old one did. While we are working on porting over a key features like the TR database/search tool, the TRs are all still there in the Route Report Forums. So click the “Forums” link in the menu and head on over and check it out! Also feel free to report any bugs you may find so we can get them fixed. We are psyched about the new possibilities! New Venture by CC.com user "Dannible"